When it comes to vision and durability the Riddell Revolution Speed Facemask S2BD-SW-SP raises the bar. Engineered from steel, the S2BD-SW-SP will endure even the hardest hits and its open design keeps your vision free from obstruction. This combination of strength and openness lets you keep your focus on the field, freeing you to reach your full potential. 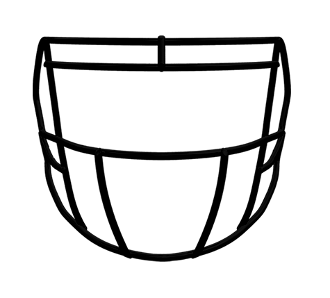 Having an open configuration of bars makes this facemask is an optimal choice for skill position players and is recommended for Quarterbacks, Running Backs, Wide Receivers, Defensive Backs and Tight Ends.